The 2019 Women’s Conference, titled Women Rising Unite the Fight, featured t-shirts bearing the winning design of IAM Local Lodge 2797 President, Roswita Hildebrandt. The design, featuring words of empowerment within a solidarity fist, was selected by a panel of independent judges. Roswita has been a union activist for 20 years. 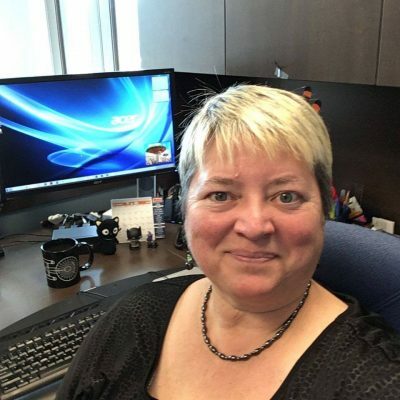 She began her union career as a member of the Nova Scotia Government & General Employees Union (NSGEU), Local 77 while working for Dalhousie University as an administrative secretary in the Centre for Learning and Teaching. Roswita held positions on various committees and spent three two-year terms as president of the local. Currently, Roswita works for NSGEU and holds the position of communications secretary. The staff at the NSGEU joined the IAM in 2016. That same year Roswita was appointed Communicator of Local Lodge 2797. Roswita was elected Vice President of her local in 2017 and after the resignation of the President in January 2018, Roswita assumed the role. Her first action as president was to establish a women’s committee. The committee has been outstanding in their service to the local and the community. Tania Cannif, IAM Transportation District Lodge 140 General Chairperson, is the recipient of the 2019 Excellence in Leadership Award. 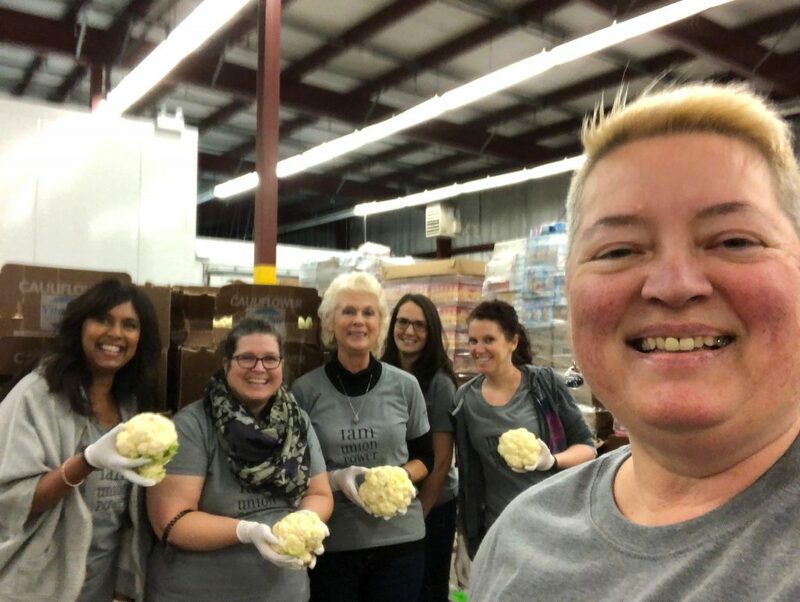 Tania is a 30-year member of IAM Local Lodge 764 in Vancouver, and has been active within our Union for 29 of those years. Tania began her career with Canadian Airlines in 1988. She was elected shop steward the following year, and rose to the challenge of many leadership positions in the ensuing years. She has served as chief shop steward, bargaining committee representative, Local 764 president, and District 140 vice-president. 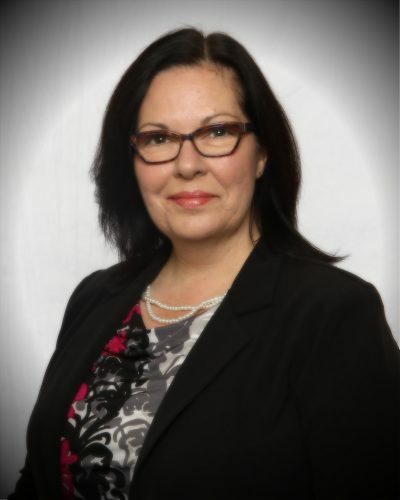 In her current role as a general chairperson of District 140, Tania is a strong and well-respected leader who is dedicated to the work of the IAM and to improving the lives of our members within her jurisdiction and across Canada. Tania serves as the IAM’s elected delegate to the Canadian Labour Congress, a position she has held for the past eight years. Tania is a highly skilled negotiator and proudly dedicated trade unionist and advocate for human rights, equity, and equality. She is an inspiration for many of the Sisters who are now rising to follow her leadership. Make Your Voice Heard in the IAM Workplace Violence Survey! You still have time to make your voice heard in IAM CREST’s second annual workplace violence survey. The survey is available in English, French, and Spanish. The survey will close on March 31, 2019. Results will be published in April 2019. 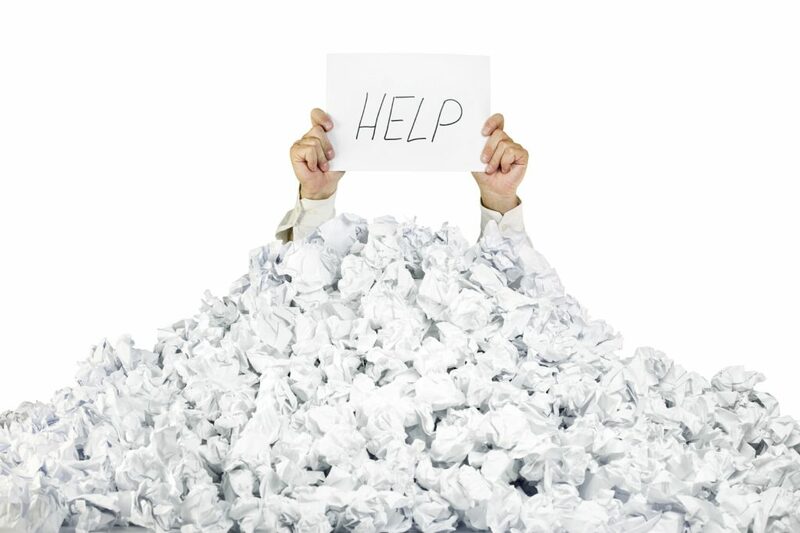 The survey will help IAM CREST work toward solutions to improve workplace safety. The survey is completely anonymous and data will be shared with other partners to develop broad strategies. Help us make work safer by taking the IAM CREST Workplace Violence Survey. The survey is also available in French and Spanish. You can also text IAMSAFETY to 55-000 to complete the survey on your mobile device. 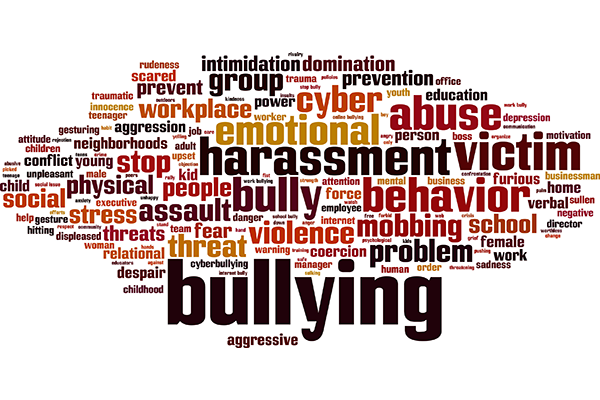 Workplace violence can take the form of a physical or emotional attack. Nearly 17,000 workers experienced trauma from nonfatal workplace violence in 2016, according to the Bureau of Labor Statistics (BLS). Five-hundred Americans were victims of workplace homicide victims in 2016. Click here to see results of IAM CREST’s first workplace violence survey. Questions or concerns about the survey can be directed to IAM CREST Project Coordinator/Instructor Michael Oathout at 301-967-4707 or moathout@iamaw.org. We would like to communicate directly with our members to make sure you are up-to-date on important union news and events. In order to keep you informed, we need you to send us your current contact information. Please fill out the following form and you will be entered into a draw to win a $50 and $100 gift card for Atlantic Superstore or an IAMAW t-shirt. 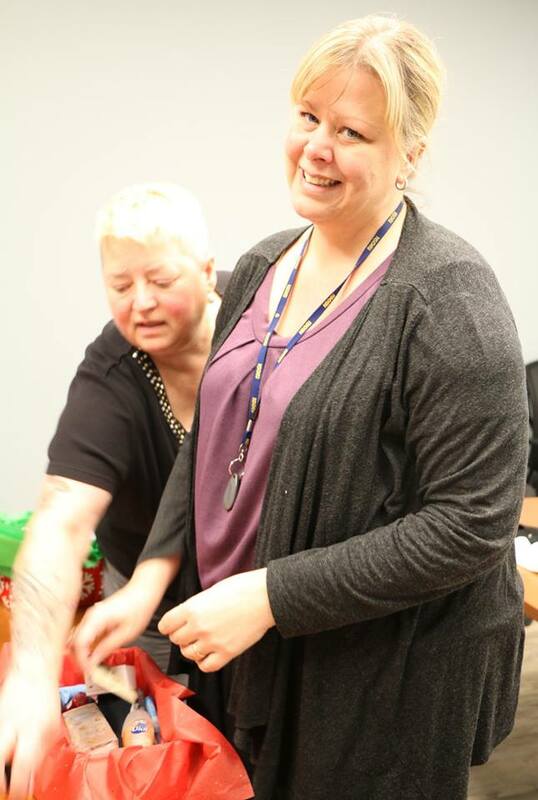 Before the holidays, members of IAMAW Local 2797 got together on their lunch break to put together 18 shoeboxes full of goodies for The Halifax Shoebox Project. 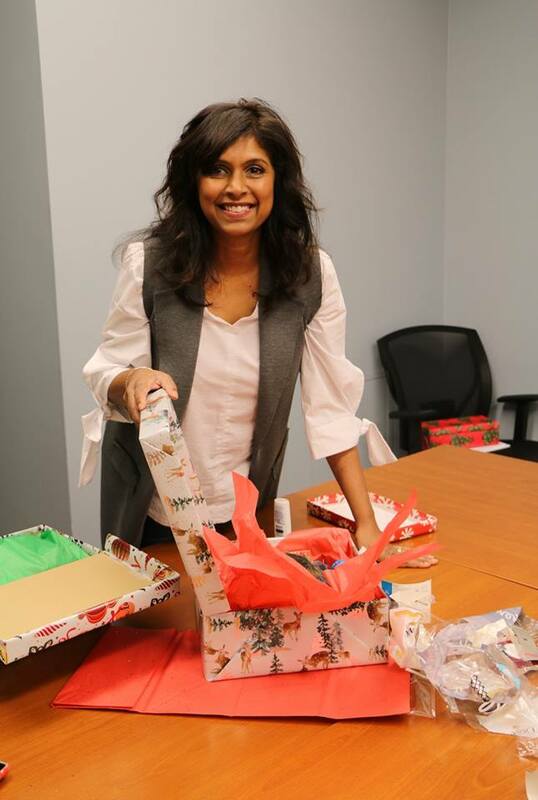 Such a great initiative, and one we were proud to take part in during the holiday season! 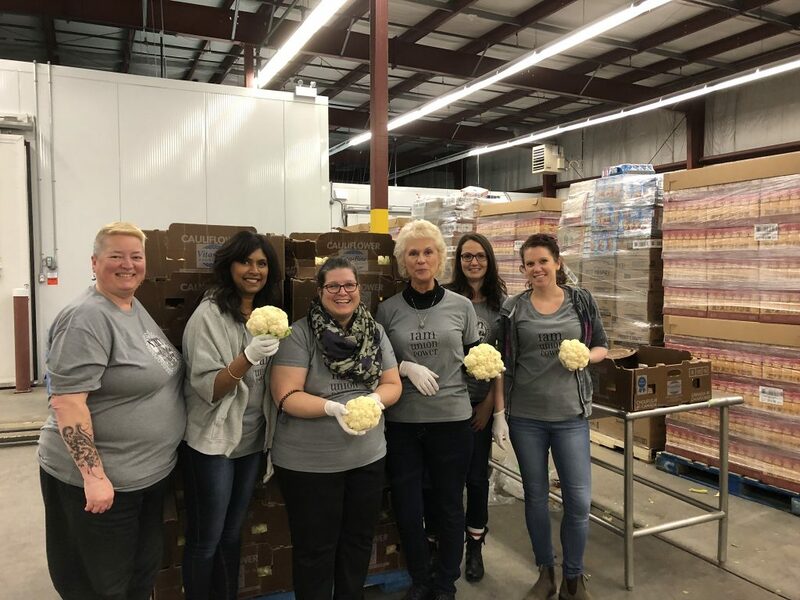 Womens’ Committee Lends A Hand! 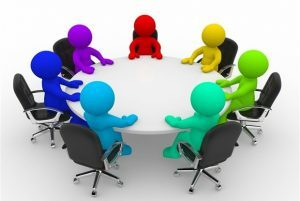 Because the second Thursday in February falls on Valentine’s Day this year, we have decided to hold our meeting on February 7th instead. See you at the Quality Inn at 6:00 pm on Thursday, February 7th! 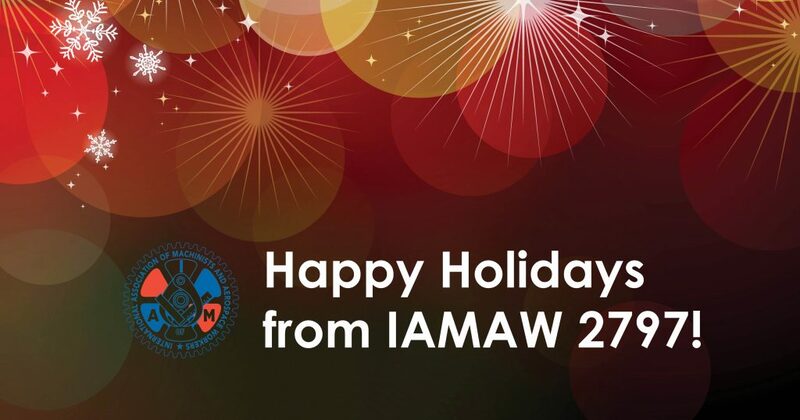 IAMAW Lodge 2797 is wishing you, your family & friends a very happy and safe holiday season! All the best for the year ahead! On Sunday, November 11th, we pause to remember those who fought and sacrificed for our freedoms. 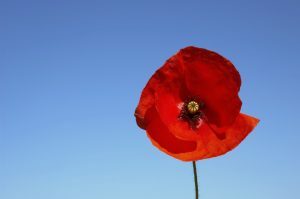 Armistice Day, now known as Remembrance Day, was first marked in Canada on Nov. 11, 1919. That date marked the one-year anniversary of the signing of the armistice that ended the First World War. This year marks the 100-year anniversary of the end of the war. If you’re able to attend, the Nova Scotia/Nunavut Provincial Command of the Royal Canadian Legion will be holding a Remembrance Day service at Halifax Grand Parade, starting at 10:30 a.m. Happy 20th Anniversary District 140!